Golden Dragonfly Press, 9781732577268, 228pp. If you're looking for ways to uncover your higher potential for happiness, bliss, creativity, prosperity, and freedom, while fulfilling your deep, spiritual longing, "Bliss Lab" will bring you time-tested tools from the wisdom traditions of India. The reader will find extraordinary stories about supernormal powers attained by the yogis in their meditative states, and the traditional steps to achieve them. 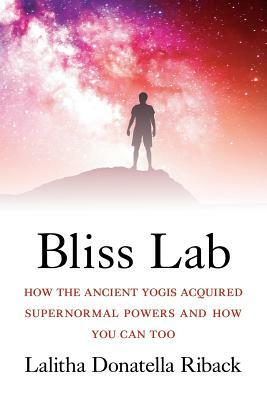 "Bliss Lab" is an overview of how consciousness and the super brain can be explored through a panoramic view of the Vedic cosmos, and the omniscient Rishis or intuitive sages of ancient India. This book's message is that everything we long for can be found within, including the reasons for our success and failure. From this step-by-step guide, you can learn how to better yourself, and tap into your inborn gifts of intuition and thought manifestation. The language and techniques in this book can be found in the Science of Light or Vedic astrology, a predictive system said to reveal secrets of your past, present, and future to empower you, and free you from all limitations. This book inspires the reader to live a dream life that includes material abundance, spiritual fulfillment, meaning and purpose. "Bliss Lab" engages the reader through awe and wonder for the magical world of the Self. At its core this spiritual guide carries the ultimate teaching of the yogis: Humanity has divine origins.